Instantly downloadable sheet music by Ronaldo Boscoli for piano solo of MEDIUM skill level. Instantly downloadable sheet music by George Cory for piano solo of MEDIUM skill level. Instantly downloadable sheet music by Lewis E. Gensler for piano solo of EASY skill level. 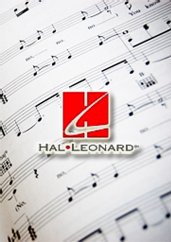 Instantly downloadable sheet music by Larry Holofcener for piano solo of EASY skill level. Alle Notenausgaben von Mr. Wonderful zum Herunterladen bei VirtualSheetMusic. Alle Noten von Larry Holofcener zum Herunterladen bei VirtualSheetMusic. Instantly downloadable sheet music by Al Haig for piano solo of MEDIUM skill level. Alle Notenausgaben von Autumn In New York zum Herunterladen bei VirtualSheetMusic. Alle Noten von Al Haig zum Herunterladen bei VirtualSheetMusic. Instantly downloadable sheet music by Buddy Kaye for piano solo of MEDIUM skill level. Alle Notenausgaben von I`ll Close My Eyes zum Herunterladen bei VirtualSheetMusic. Alle Noten von Buddy Kaye zum Herunterladen bei VirtualSheetMusic. Instantly downloadable sheet music by Gene DePaul for piano solo of MEDIUM skill level. Alle Notenausgaben von Teach Me Tonight zum Herunterladen bei VirtualSheetMusic. Alle Noten von Gene DePaul zum Herunterladen bei VirtualSheetMusic. Instantly downloadable sheet music by Lee Gaines for piano solo of EASY skill level. Alle Notenausgaben von Just Squeeze Me (But Don`t Tease Me) zum Herunterladen bei VirtualSheetMusic. Alle Noten von Lee Gaines zum Herunterladen bei VirtualSheetMusic. Instantly downloadable sheet music by Sid Kuller for piano solo of MEDIUM skill level. Alle Notenausgaben von Jump For Joy zum Herunterladen bei VirtualSheetMusic. Alle Noten von Sid Kuller zum Herunterladen bei VirtualSheetMusic. Instantly downloadable sheet music by Vernon Duke for piano solo of MEDIUM skill level. Instantly downloadable sheet music by Carole Bayer Sager for piano solo of EASY skill level. Alle Notenausgaben von Midnight Blue zum Herunterladen bei VirtualSheetMusic. Instantly downloadable sheet music by Nacio Herb Brown for piano solo of EASY skill level. Alle Notenausgaben von Singin` In The Rain zum Herunterladen bei VirtualSheetMusic. Alle Noten von Nacio Herb Brown zum Herunterladen bei VirtualSheetMusic. Alle Notenausgaben von Happy Talk zum Herunterladen bei VirtualSheetMusic. Instantly downloadable sheet music by Morris Levy for piano solo of EASY skill level. Alle Notenausgaben von Why Do Fools Fall In Love zum Herunterladen bei VirtualSheetMusic. Alle Noten von Morris Levy zum Herunterladen bei VirtualSheetMusic. Instantly downloadable sheet music by Charles Danvers for piano solo of EASY skill level. Alle Notenausgaben von Till zum Herunterladen bei VirtualSheetMusic. Alle Noten von Charles Danvers zum Herunterladen bei VirtualSheetMusic. Instantly downloadable sheet music by Stuart Gorrell for piano solo of MEDIUM skill level. Instantly downloadable sheet music by L. Wolfe Gilbert for piano solo of EASY skill level. Alle Notenausgaben von Down Yonder zum Herunterladen bei VirtualSheetMusic. Alle Noten von L. Wolfe Gilbert zum Herunterladen bei VirtualSheetMusic. Instantly downloadable sheet music by Patsy Cline for piano solo of EASY skill level. Alle Noten von Patsy Cline zum Herunterladen bei VirtualSheetMusic. Instantly downloadable sheet music by Harry Carroll for piano solo of MEDIUM skill level. Alle Notenausgaben von I`m Always Chasing Rainbows zum Herunterladen bei VirtualSheetMusic. Alle Noten von Harry Carroll zum Herunterladen bei VirtualSheetMusic. Instantly downloadable sheet music by Jimmie Hodges for piano solo of EASY skill level. Alle Notenausgaben von Some Day (You`ll Want Me To Want You) zum Herunterladen bei VirtualSheetMusic. Alle Noten von Jimmie Hodges zum Herunterladen bei VirtualSheetMusic.